Geographic Location: Punta Indio is a prospect of Buenos Aires located some 100 km. south of the city of La Plata, the provincial capital, on the eastern bank of the Río de la Plata (River Plate). It has small but peaceful bathing resorts. Fishing is one of the great attractions of the area, which also includes the famous Navy Air Base. The Mysterious Coastal Area: It was precisely there, in 1965, when its headquarters were under the command of Hugo Frontoth that a series of UFO sightings kept the naval authorities on tenterhooks. 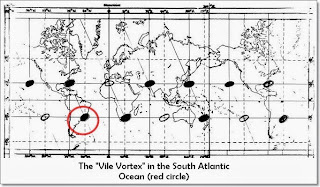 The events occurred during the first three months of July, with mysterious echoes located by beans of the GCA approach radar, without any visibility, caused a latent sense of disquiet. Possibly the best-remembered event is the one involving Lt. Federico Machain, who pursued a UFO up to Magdalena in his aircraft. As a result of these events, a special commission and some U.S. experts reported to the facilities in order to supervise the electronic equipment, without detecting any failures or anomalies. 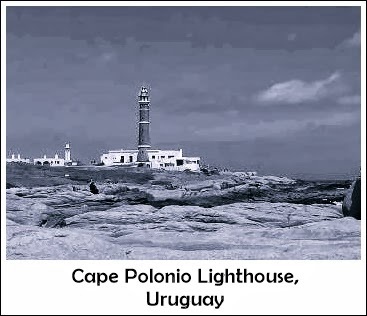 The Argentinean Navy, therefore, formalized a UFO INFORMATION OFFICE, official in nature, which would collect everything concerning this subject through forms submitted to witnesses of the sightings. The same was done with radar operators and aviators. Lt. Cmdr. Carlos A. Molteni and his counterpart Hugo Morales, as chief and deputy chief of public relations, respectively, were in charge of the base’s “social aspects”. While the area is not one of the most visited by UFOs, from a statistical perspective, we have recorded unique episodes over the past five decades throughout the regions, such as in Atalaya, Veronica, Magdalena, Pipinas and Punta Piedras. It was precisely from this last resort that the first reports of UFO landings would be received. In early November 1968, Miguel Angel Fountrier and Hugo Bustamante discovered a strange circle of nine mushrooms, one of them measuring an astounding 70 centimeters (27 in.) in diameter and 30 centimeters (11 in.) tall. But stories involving “evil lights” in those parts go back to midnight on April 3, 1961, according to our files, when a soldier at the base witnessed a luminous object flying past. The following year, a renowned doctor from La Plata was the protagonist of a striking UFO incident as he was ready to enter his weekend house near Atalaya, only a few meters distant from Route 11. The brilliant light illuminated him from above for several minutes before going off inland. Cases occurred on and off, and we eventually arrive at the year 1983, when a spectacular encounter with a mini-UFO took place (known to researchers as probes or telecaptors or orbs). In the morning of April 5, businessman Jorge Semacendi and his companion Daniel Vera were chased by a small luminous sphere only a few meters away from their car during the drive from Villa Gesell-La Plata. The bizarre object accompanied them for a few hours over 200 kilometers, finally causing the driver to drive off the road at high speed, jeopardizing their lives. But the most disconcerting event was yet to come. Minutes later they were overtaken by a pickup truck, covered by a cab but without any rear doors, allowing them to look into its interior: they saw a small device, shaped like a flying saucer, briefly illuminated by the headlights of Semacendi’s car. What strange forces were in motion in that area, with such impunity and in the vicinity of the Punta Indio Navy Air Base, the Magdalena C-8 Tank Regiment and the Atalaya Prefecture Detachment? We had collected reports of UFO sightings and landings, and even close encounters of the third kind, such as the one witnessed by a group of La Plata residents, who were returning from a hunting trip in the early 1970s and were able to see from their car a luminous structure some 200 meters from Route 11 in Punta Indio. Short entities beside the object moved around by “hopping like birds”. The witnesses pulled their vehicle to a halt, approached the phenomenon, and one of them, hoping to fire at it with his weapon, found that “something invisible in the environment made them sluggish.” Even so, the small beings were unaware of their presence and remained involved in their tasks, until the hunters finally withdrew from the area. It is well-known to researchers of marine mysteries that the infamous Bermuda Triangle has eleven younger brothers, scattered all over the globe. 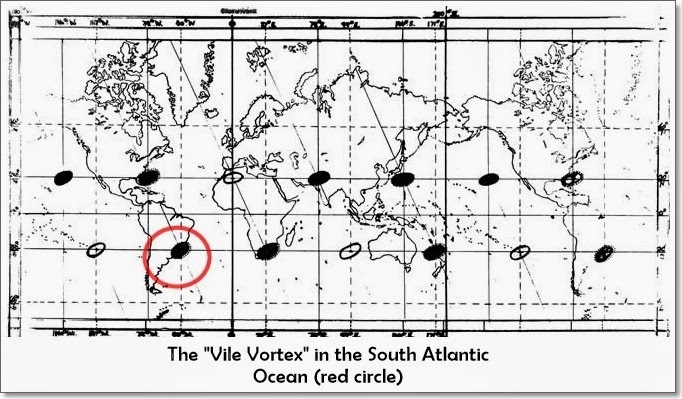 One of these areas, where magnetic aberrations occur, accompanied by the disappearance of airplanes and surface ships, is located in the Atlantic region near Cape Polonio in the so-called Barra San Juan, facing the Uruguayan coast. Unusual events have taken place there over the years, involving smaller and larger ships as well. Perhaps the most famous of these cases involves the Tacuari, a vessel of Brazilian registry, which vanished during its maiden voyage in the 1970s. Other ships included the Don Guillermo, Juan Traverso, Ciudad de Salto, Australia, El Harino, Estrella de Dia, La Juanita, Yomour, etc. As the old salts might say, the entire area was suddenly accursed. As of 1990, the shore that joins Punta Indio with the Bay turned into a gathering place for curiosity seekers, researchers, journalists and artists interested in UFOs. Mystic groups, parapsychologists and cultists created a cosmic brotherhood where messages from beyond, UFO sightings, lights in the water, prayers and ET contacts all flowed together. Faced with all this, local residents, known for their mixture of serenity, coherence and skepticism, became used to seeing a parade of cars from Capital Federal and Greater Buenos Aires and soon found a breeding ground for interest in the unknown, as had occurred in “La Aurora”, Uruguay and Capilla del Monte in Córdoba. Stressed-out tourists, wanting to spend a weekend in the sun and fishing, were no longer surprised to see figures in the darkness, forming circles and holding hands, praying for the arrival of some light…if only just that. Even if the lights were only: Airplanes flying majestically along the river enroute to Montevideo or Brazil; ships on the horizon, looking like flashing lights; meteorites in clear, star-studded skies, crossing the heavens in any direction; satellites, visible in great numbers and crossing various orbits; flashlights wielded by local fishermen. In 1992, we commenced our investigations on the stretch between Punta Indio and the Bay of Sanborombón. Our first “observation session” was carried out jointly with the Hemisferios group and researcher Silvia and Andrea Simondini. Numerous comings and goings have taken place from those beaches. For the moment, the “mystical intoxication virus” has been isolated in a timely manner and did not contaminate serious researchers or the public at large. The Naval Air Base is in good health, although the UFO Information Office was dismantled over two decades ago. If the radar is alarmed, no one ever finds out. Fishing, from bathing resort No.3 down to the bay, has good and bad seasons. Its waters are no doubt cleaner than those of the metropolitan coastline at Quilmes or Punta Lara. UFO sightings will obviously be the same as in 1947, although the question of “what is hidden under the waters” will always be with us. The mysterious presence left as it came. Following the same trajectory and taking the same time to return to the coast – 30 seconds. Opinions on its nature were divided: Alcides, who came closest to it, to the point of nearly holding it in his hand, described it as a “little sphere of light”. Others did not see a definite shape and compared it to a butterfly…or a fairy. Lightning bugs were everywhere, but this was different. At the end of the episode, two questions were left in the air. One was the fact that as soon as the intruder disappeared, we realized that the prevailing wind had not affected its flight, since its silent and oscillating movements were identical as when the wind was in its favor. Therefore, the maneuvers where natural to its body. The other question involves Alcides. If he was asleep, how did he get ten meters ahead of the group, heading toward the light? He was unable to explain this clearly. And the phenomenon was etched in the minds of the FAO members, to the point that Alcides himself wanted to go back to the area to make a new observation, and he did so last summer, to the south of the Bay of Sanborombón, bordering with Tuyú, with family and friends. Yet tragically, these hazardous waters claimed the life of Alcides Rocha Polanco on 2 February 1998. What has been manifesting in this area for a long time now? Can we lend credence to the hypothesis about the Knights of Poseidon? Are they aliens? UFOs liked to the Germans? Do they have a pact? Does officialdom choose to overlook all this? These are, in short, questions that only the path of research can answer someday. The only certainty is that the aquatic connection of Punta Indio is a significant path in UFO research, one that is known to many. It is disquieting to think about the number of lodges, orders or secret societies with dark goals are operating in our midst, handling a vast techno-psychical force. In the 1980s there was talk of one Archduke of Orth, a mysterious character that remained in Patagonia for several years, linked to UFOs and a subterranean occult world. Its members, of Nordic-Franco-Nazi heritage, travel by saucer, taking half an hour from somewhere in France to an underground base in the Andean Range. No less suggestive is the story about the enigmatic beings of Aryan extraction, living in the Islas Guaitecas of Chile, able to teleport themselves to a base in the Italian Alps and being responsible for the most relevant sightings in Chile and Argentina since 1985. In short, a mosaic of suspicious groups and conspiracies surrounded by a Hitlerian aura that always emerges when the UFO-mysticism connection emerges. Is there any connection between this information and the Punta Indio-Bay of Sanborombón affair? Are other “characters” involved?